UMC2000 digital weight indicators were an industry favorite many years ago. While we do still see a few in action, most are no longer in service and parts are very scarce. 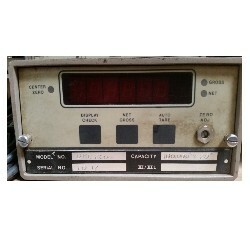 UMC-2000 digital weight indicators were an industry favorite many years ago. While we do still see a few UMC2000 weight indicators in action, most are no longer in service and parts are very scarce.